The FELCOM 15 is FURUNO’s new Inmarsat-C Mobile Earth Station. 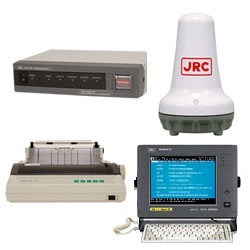 It provides a high quality two-way telex and data link between ships and other parties at sea or on land. All functions and services of the Inmarsat-C system are provided: EGC (Safety NET/FleetNET), distress message handling, two-way digital store-and-forward messaging including polling, data reporting, E-mail, etc. Distress alert are initiated by the remote distress alert unit. The distress message including own ship’s position is easily edited. A PC can be used for editing the message via Ethernet when it is supplied with dedicated software. The FELCOM 16 / SSAS facility is a Ship Security Alert System (SSAS) based on Inmarsat mini-C mobile earth station. The standard performance of the FELCOM 16 / SSAS facility meets the requirements of IMO MSC. 136(76) and MSC. 144(77). 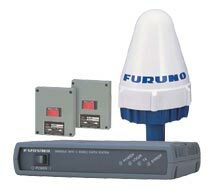 The Inmarsat mini-C system is proven for VMS (Vessel Monitoring System), guaranteeing high security alert performance. The JUE-85 is a highly reliable mobile satellite message communication system, having the ability to handle commercial, operational and personal messages just as easily as distress and safety communications. The Thrane & Thrane SAILOR 6120 mini-C SSAS from Network Innovations is a single, self-contained and sealed terminal, housing both antenna and transceiver. It meets all requirements for an SSAS and provides reliable operation as GPS fix and position are ensured even under the most adverse conditions, thanks to an integral 50 channel GPS module and high gain omni-directional antenna. The SAILOR TT-3020C SOLAS/GMDSS Transceiver is your ultimate choice for global Inmarsat-C mobile communication. 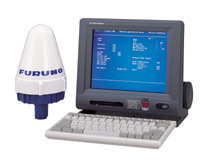 The TT-3020C offers fast and reliable connections to any fax and data subscriber worldwide and/or directly to and from another Inmarsat-C unit. The ruggedized, extremely compact design, and power conserving features of the TT-3020C transceiver, makes it very attractive for use in your new GMDSS installation. 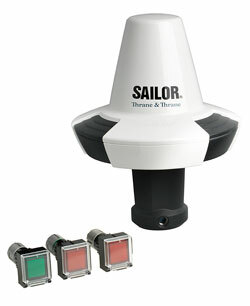 The SAILOR TT-3000SSA System is based upon the well-known and reliable Inmarsat-C service, known for its unique role in maritime safety and for more than a decade an integral part of the IMO’s GMDSS (Global Maritime Distress and Safety System). It has been developed by Thrane & Thrane to supply customers with a system that fulfils the new SOLAS requirements from IMO (International Maritime Organisation).